Whether it was a mistake or not, it’s still no excuse for posting something that could have so many negative meanings for so many people. Luckily for the GOP, the onlaught of tweets was fairly mild considering what they could have said about the GOP’s lack of equality and inherent racism within the party. Speaking of typos… “on slot”?! I’m guessing you mean onslaught? Fixed now – thanks for pointing it out, Anna! 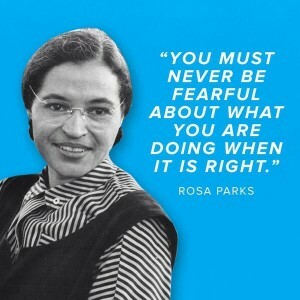 This entry was posted in News, Politics, World and tagged GOP, racism, Rosa Parks, twitter. Bookmark the permalink.